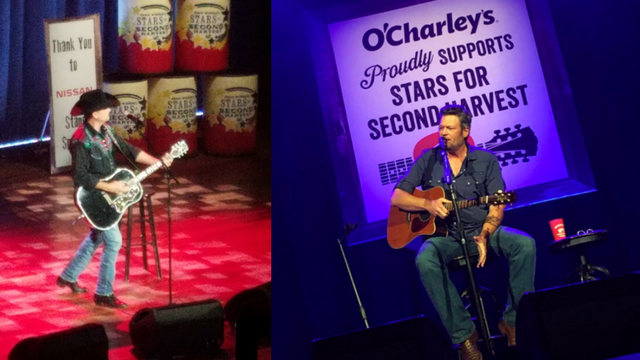 Blake Shelton headlined the 13th annual Stars for Second Harvest benefit concert last night at Nashville’s historic Ryman Auditorium. 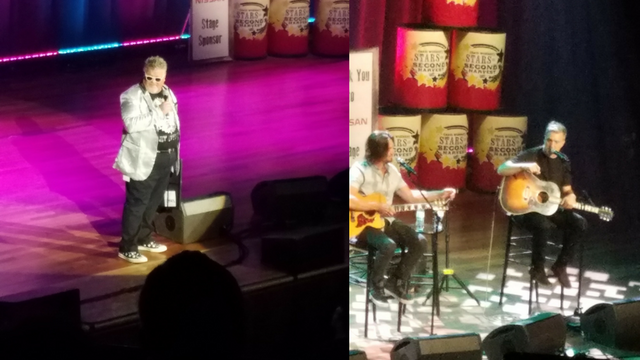 The event featured Chris Lane, songwriting duo, The Warren Brothers, and was hosted by songwriter Craig Wiseman, founder of Big Loud Records and Big Loud Shirt. The event was put together to raise money for Second Harvest Food Bank of Middle Tennessee. The Warren Brothers sang one of their more poignant hits, "If You're Reading This" and the party anthem favorite, "Red Solo Cup." John Rich paid homage to the Mother Church of Country Music, with a rendition of Johnny Cash's "Ring of Fire." The Second Harvest Food Bank of Middle Tennessee opened in 1978 and has a mission to collect and provide food for folks in need in Middle Tennessee. It partners with many corporations, including last night's partner, O'Charleys, to help provide assistance locally for food pantries across the state. According to the Food Bank's research, "Hunger impacts the lives of 1 in 7 Americans" regardless of a rural or urban location. They are working to feed the more than 1 million Tennesseans who are at risk of hunger every day. And every little bit counts. For example, a $1 donation can equal up to four meals. To donate to the Second Harvest Food Bank of Middle Tennessee or to volunteer visit, secondharvestmidtn.org.